A sensational early Staffordshire vessel. 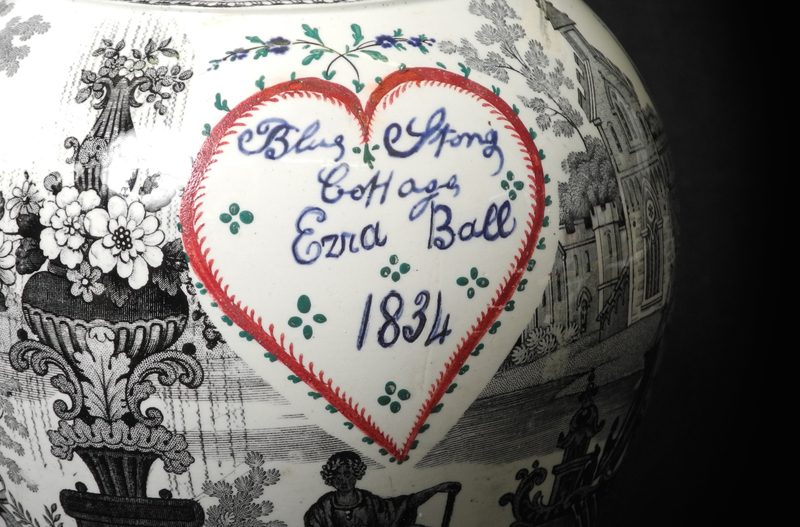 Transfer printed in black and hand painted with a very charming dedication to Ezra Bull of Blue Stone Cottage, dated 1834. 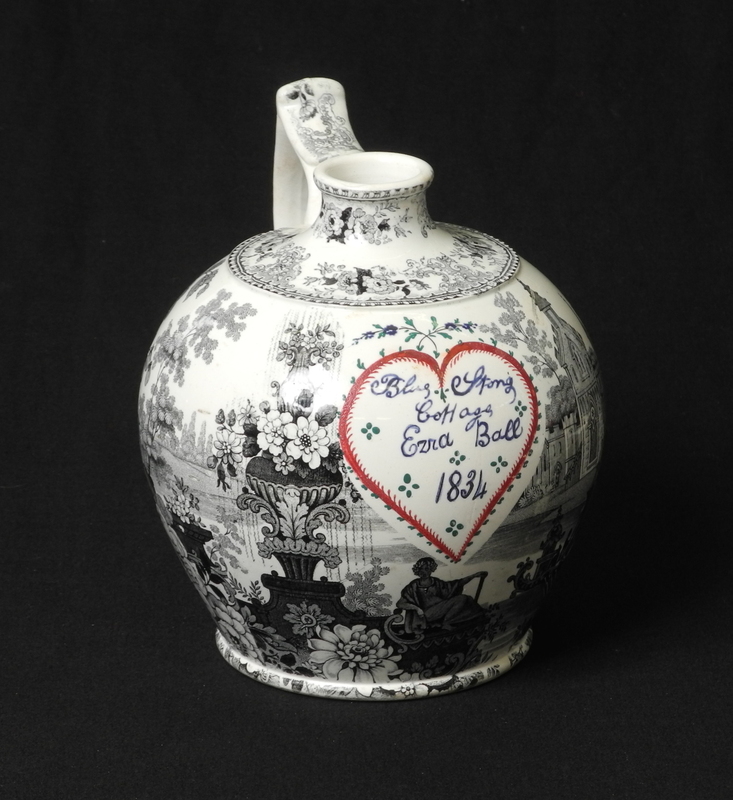 This is a very uncommon piece, not only is the form unusual for Staffordshire pottery but the dedication makes it even more unique. A wonderful object and in amazing condition!